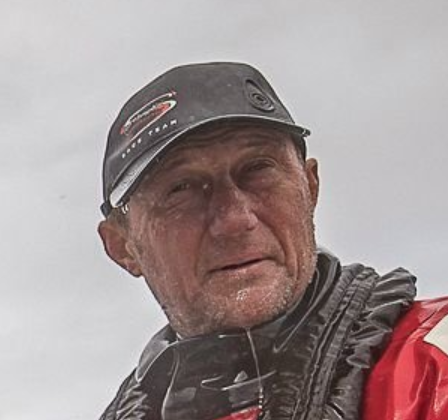 Longtime racer and New York Times Sailing Correspondent Chris Museler continues to lead the ‘big media’ in providing real journalism about the sport we love for millions of real people, and for the better part of a month he’s been working on a story about safety, death, and the Volvo Ocean Race. It finally ran in today’s Times, and we print a short excerpt below. Photo of Fish from Facebook, credit Jeremy LeCaudey/Volvo Ocean Race. The helmsman hit the red man-overboard button at the wheel, which records the boat’s GPS location. But in those frantic moments, the button was not depressed for the compulsory four seconds it takes to record the spot. 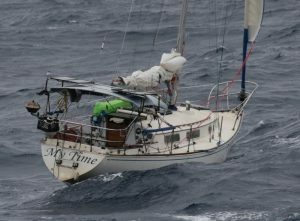 Greenhalgh instinctually locked in the boat’s coordinates — 1,400 nautical miles west of Cape Horn in the Southern Ocean — into her navigation software, which shows the boat’s track on a digital chart. That was roughly the position where the crew’s safety officer, John Fisher, 47, was knocked over the side of the boat. Rapidly calculating in her head how Fisher would drift in the frothy, cold peaks of the waves, Greenhalgh drew a search pattern on her screen. 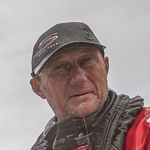 Fisher was miles behind by the time the boat was under control and pounding back upwind into the waves. Greenhalgh directed the crew, shouting into the intercom. Four and a half hours later, with no sign of Fisher or the inflatable buoy and life ring the crew deployed, she radioed Race Control in Alicante, Spain, that they were suspending their search.